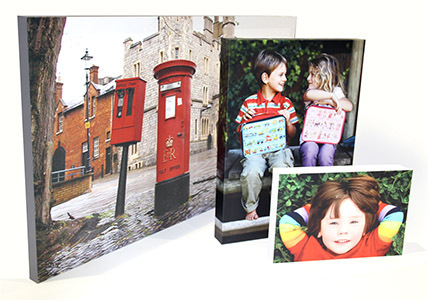 Turn your photography into a supercool photo canvas or create a gallery style Canvas print with your works of art. Canvas printing and wrapping over frames also enhances business and marketing graphics with a solid, tactile quality, and improves the acoustics of office spaces with its soft surface. We can make any size you want. Choose from 100% Cotton canvas, cotton effect polyester or our environmental friendly 100% cardboard Ecobloc. The authentic look for displaying photos on canvas. 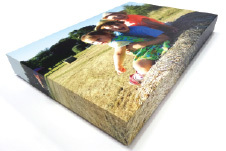 Wrapped around a solid wooden frame, tensioned and precisely finished, our Classic Photo Canvas is the choice of many photography professionals. The polyester canvas articulates fine detail and holds colour depth with ease, is durable and will not lose its tension over time. This canvas print is available with slimline or deep edges and in very large sizes and bespoke sizes. 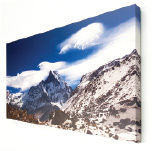 Planet Friendly, costs less and dare we say looks better than a standard stretched canvas. Show this off to your friends, then ask them to lift it off the wall and watch their faces! Ecobloc looks just like a canvas but instead of being made from newly felled trees and plastic it is made with over 90 percent recycled paper and organic inks, and is fully recyclable. 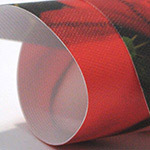 No Plastics used in the packaging, and made here is the UK so no overseas shipping – what more can we do? Impress your friends by claiming to own an original piece of fine art using this true cotton canvas. 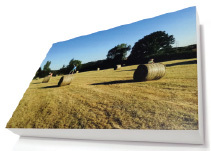 Highlight your finest photography with clean white edges, and save the planet with our Ecobloc Canvas Alternative. For those who want to frame or mount their prints themselves we can print your canvas to any size. Choose from Pure Cotton or Cotton Effect Polyester.